¿Who has not wanted to feel like a rider riding some racing tires on his street motorbike? 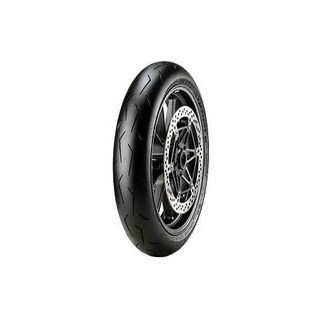 Pirelli has on the market the Pirelli BSB or Pirelli Supercorsa BSB tires, some racing tires approved to ride on the road with your particular motorcycle. They are mixed tires with all the characteristics of competition. That is to say, the experimentation, the technology and the advances of the industry applied to them and made available for the general public. 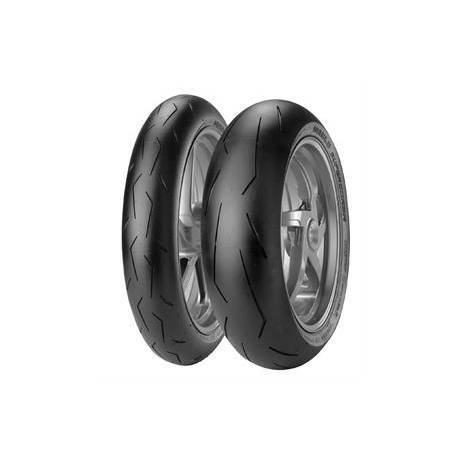 They are indicated for those who wish to ride on their motorcycle with some tires ready to run, but with all the stability and safety that the standards require. 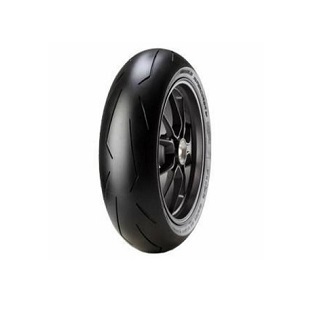 The Pirelli Supercorsa BSB are fast and very solid tires that stand out for their regularity when worn. Both the front and the rear do it in a similar way, giving greater durability to the tires. The area of slick (without drawing) on the sides is wider to ensure exceptional grip on the inclined. It gives you more agility in driving, controlling the steering just with no effort. Thats the reality; It is a tire that allows you to squeeze the bike, reach a high speed on the straights without ever having the feeling of risk. At the entrance of the curves behaves with total stability, holding without jolts, or movements or vibrations. It is true that this sporting behavior wears it down more quickly, but Pirelli has achieved balance. On the one hand, the tire is ideal for aggressive riders because it performs very well on curves and straights at high speed. And on the other, its composition offers greater resistance to wear. Its design, with a single groove, makes it safer and more stable. And is that, provides more grip surface in the curves when they force you to a brutal inclinations. On the other hand, do not forget the function of evacuating water, in case the rain appears while driving. Thanks to this feature, your motorcycle can reach high speeds without losing stability and, above all, without suffering unpleasant deformations. And an advantage has over the smooth racing tire: the temperature. It does not need much time to reach the ideal temperature in which the performance is optimal. Therefore, you will not need heaters to store the heat of your tires. The exclusive design of Pirelli, a high modulus shell, transfers precise information about the sensations of the tyre, whether the grip is perfect, its stability, etc. This information is key to safe, fast and comfortable driving.